So this was meant to have an accompanying YouTube video...filmed on my new Canon 700D! Yup, bit the bullet and took the next step up in the camera family to a DSLR. However, turns out my old memory card can't quite cope with filming so I had to put the YouTube video on hold. Though at least these photos worked - how do they look? I need to have a lot more practise with all the settings though - which I'm kinda excited about! 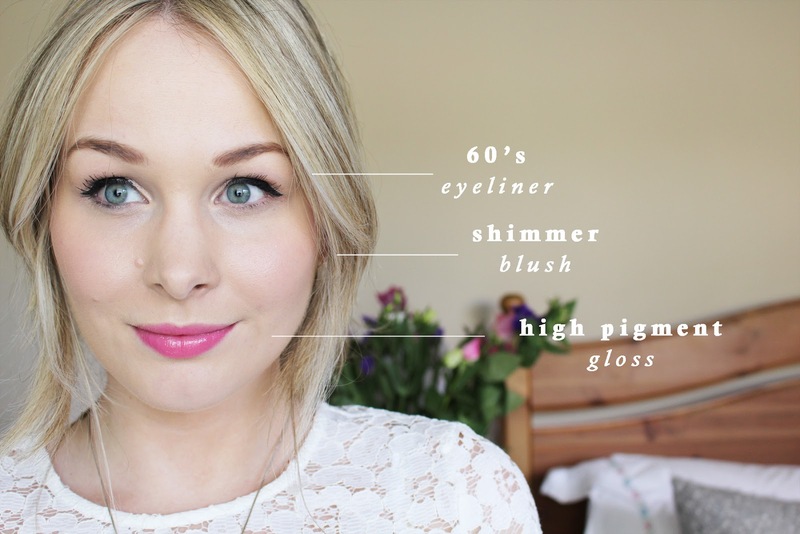 So this 'face' is featuring my current favourite lipgloss - its Beauty UK's Glacier Gloss in Tickle Me Pink (link here). The colour is gorgeous, a beautiful pink that is blue based so actually makes your teeth look whiter. I'm such a convert to lipgloss, I never used to be a fan as they all seemed to be sticky and sort of pointless, but recently they've seems to be more like liquid lipsticks - much better! 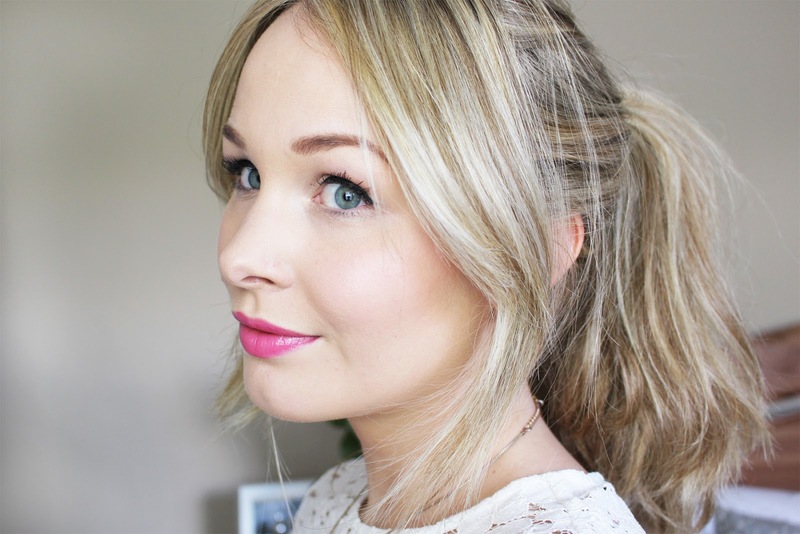 The shimmery blush I used on my cheeks is also by Beauty UK (link here), I've only recently noticed this brand in Superdrug stores - it's super cheap so it's great for experimenting with new colours and looks. Let me know what you think of the make-up...and the photos! Love this look. Its so girly & pretty! Photos are great! So pretty! Looking forward to more Youtube videos :) enjoy tinkering with your new DSLR!